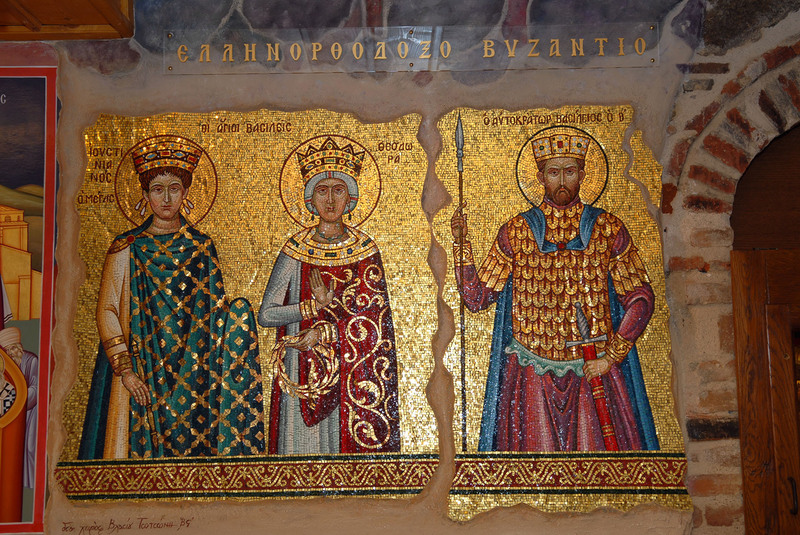 The Great Meteoron Monastery created several admirable museums, for the better presentation of its valuable heirlooms and the promotion of our national heritage, our history and tradition. 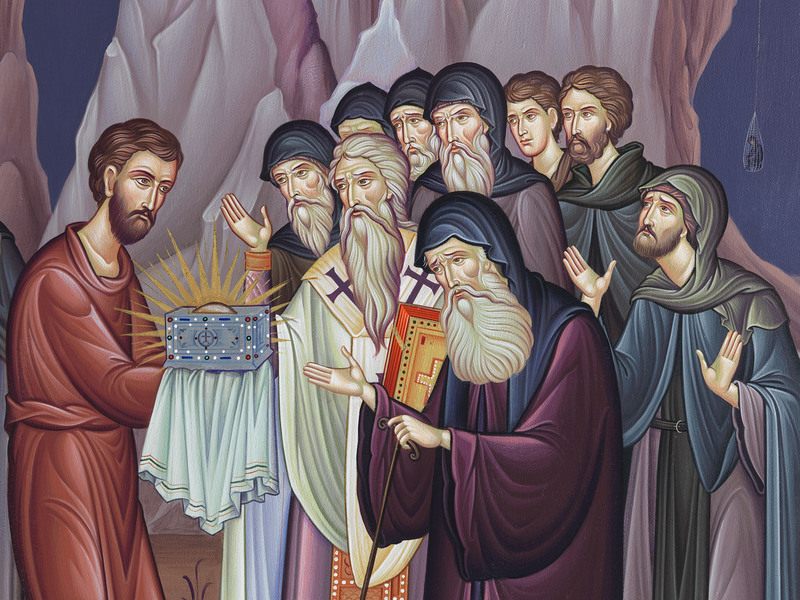 Portable icons, gold embroidered and wood carved depictions, manuscripts, codices, incunabula and early editions, liturgical utensils of worship authentic national heirlooms and simple items of the everyday life as well as modern works of art, specifically created in order to present and promote ideas, moral values and ideals, exude the fragrance of love for Christ and our neighbours, the expectation of God’s Kingdom, the continuous prayer, the life-long patience and the genuine patriotism. Exhibition Room named “Laz. 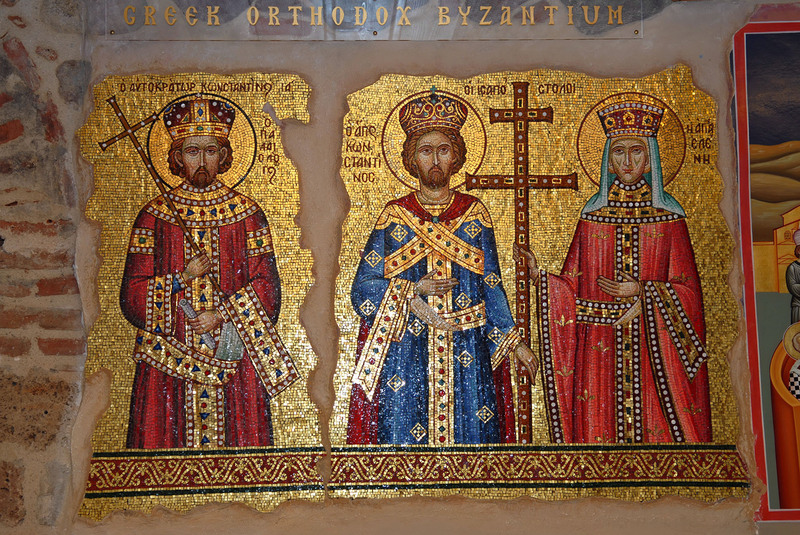 Deriziotes”: It is housed in the restored old ward for the elderly monks. 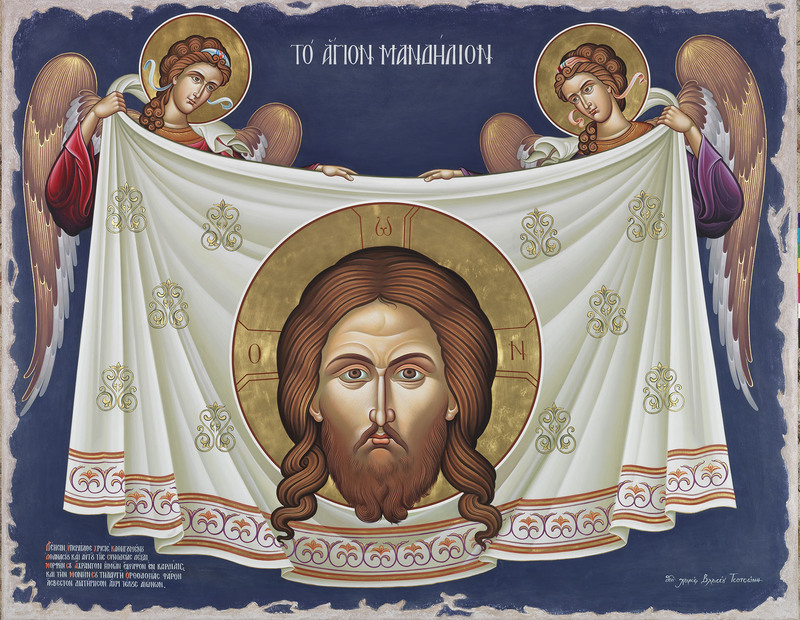 In this there are depicted portable icons, gold-embroidered shrouds of Christ, priests’ vestments, altar doors and other ecclesiastical treasures. 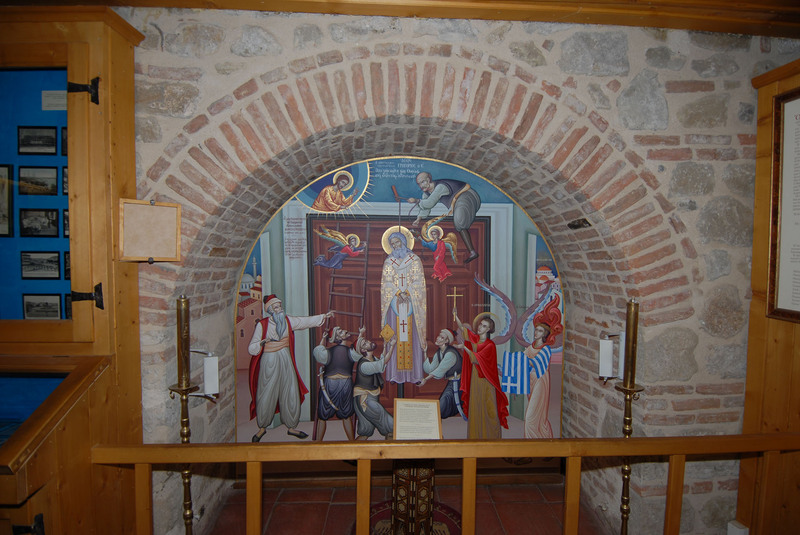 The same building houses a small shrine dedicated to Sts Anargyroi (Unmercenaries), painted by Vlasios Tsotsonis. 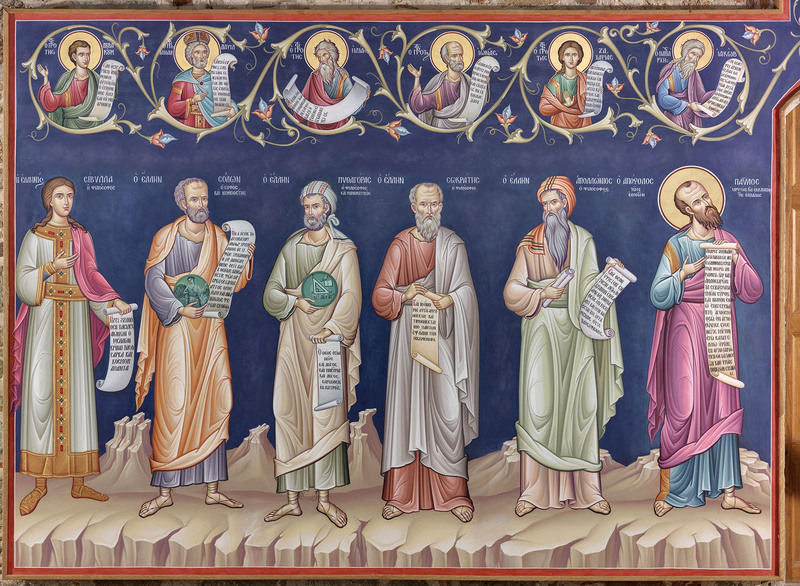 Manuscripts’ and Newmartyrs’ Exhibition Rooms named “D. Sofianos”: They are housed on the top floor of the restored old Hospital. 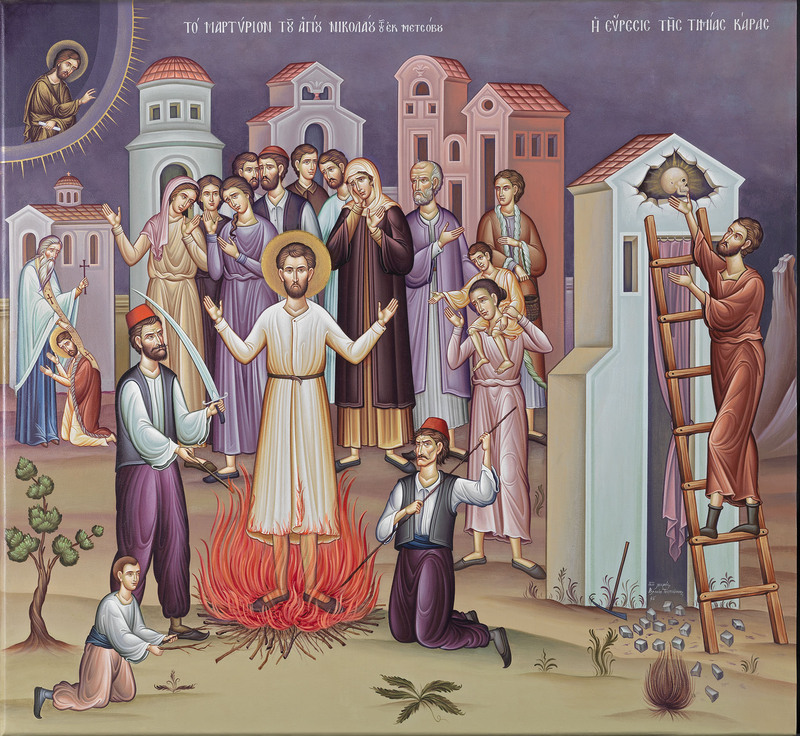 There are exhibited significant old manuscripts, documents and early editions, artful wood carved crosses and holy paintings of New-martyrs, painted by Vlasios Tsotsonis too. 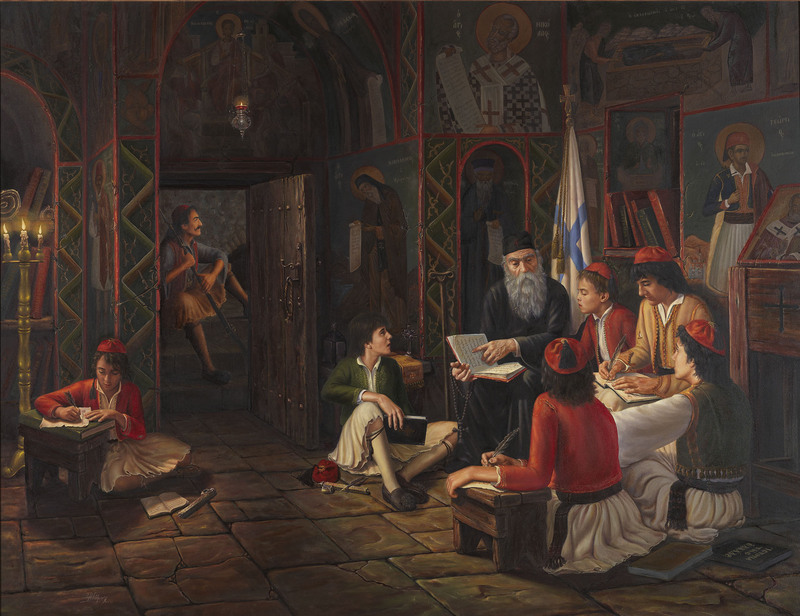 Exhibition Room of the Theological and Historical Gallery named “G. 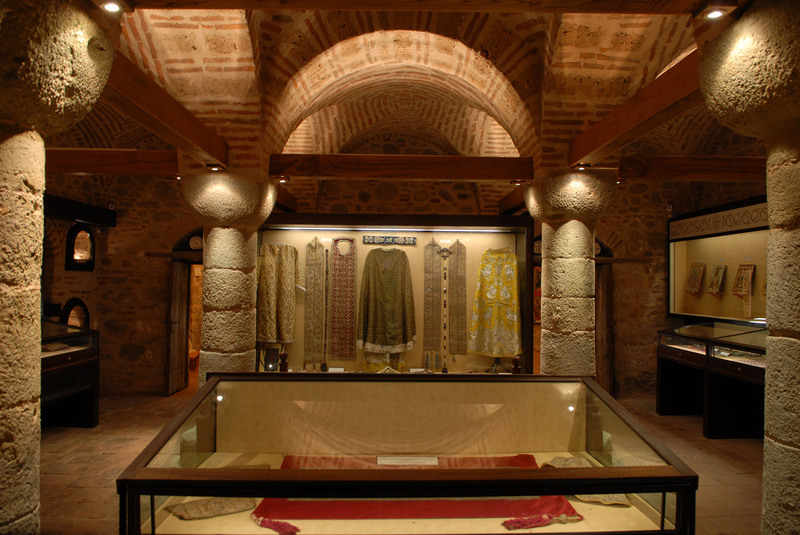 Tsioulakis”: It is housed in the restored old Refectory of the Monastery. 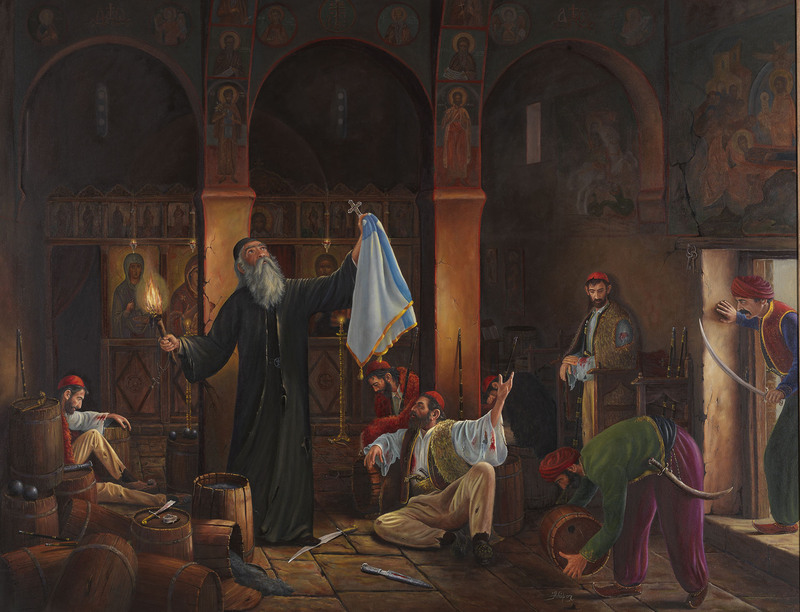 Inside, there are exhibited oil-paintings on canvas with theological and historical content painted by the talented artist Constantine Adamos from Kalambaka as well as two holy paintings: “The holy Mandeylion’ (the image of Our Lord impressed on a cloth) and the Virgin Mary, painted by Vlasios Tsotsonis. 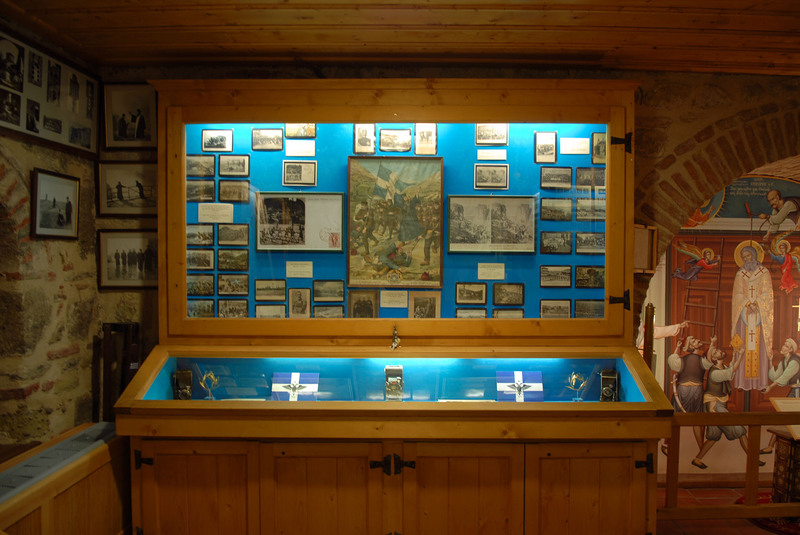 Exhibition Room of the Historical and Folk art Museum named “C. 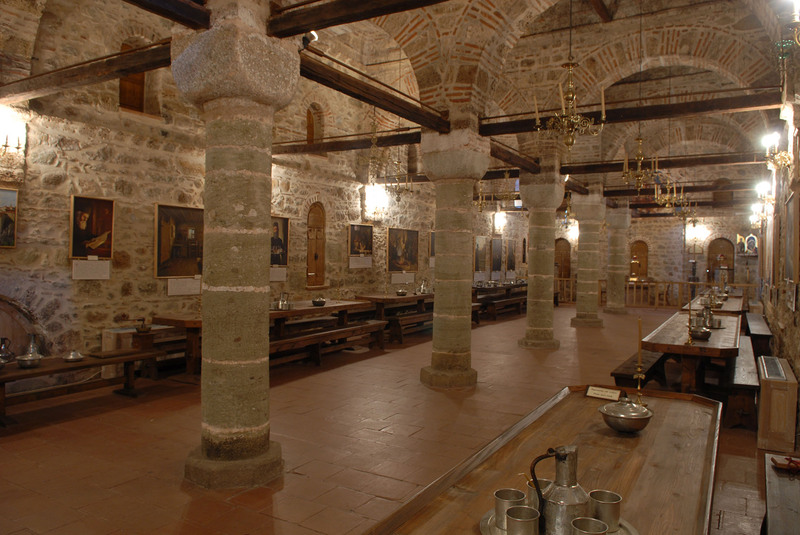 Matzanas”: It is housed under the old Refectory. 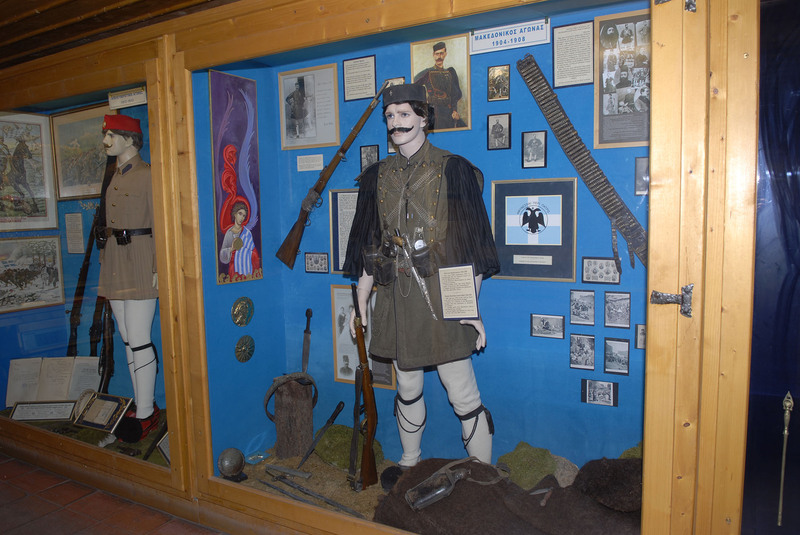 It displays authentic historical heirlooms from the Greek War of lndependence of 1821, the Macedonian War (1904-1908), the Balkan Wars (1912-13), the epic years between 1940-1941, traditional national costumes and several other relevant articles. 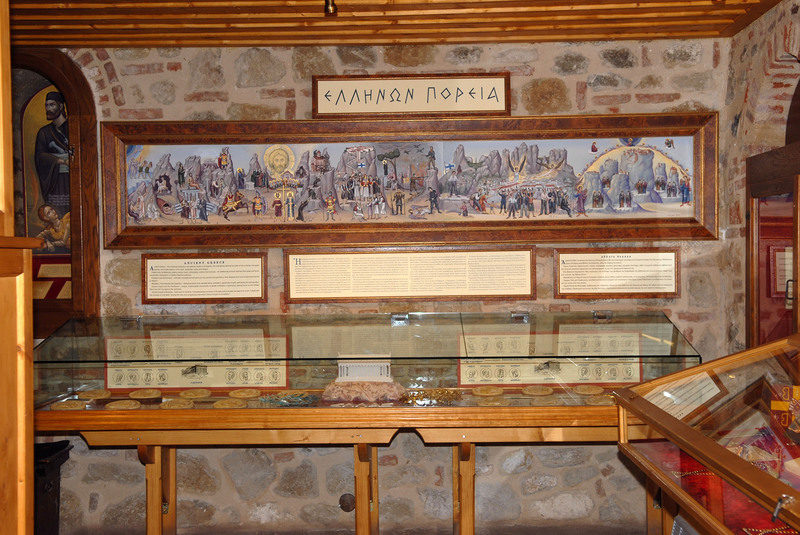 Exhibition Room of Coloured Historical Lithographies named “N. 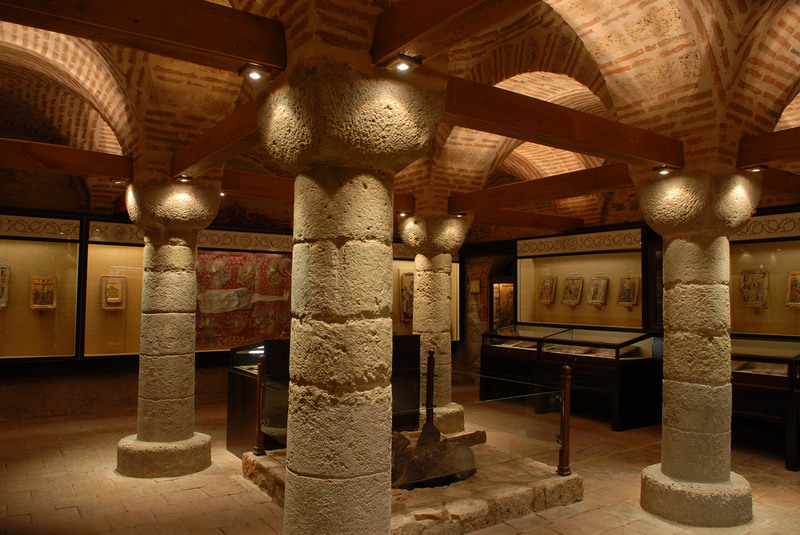 Komines”: They are housed in the hall out of the Historical and Folk art Museum. 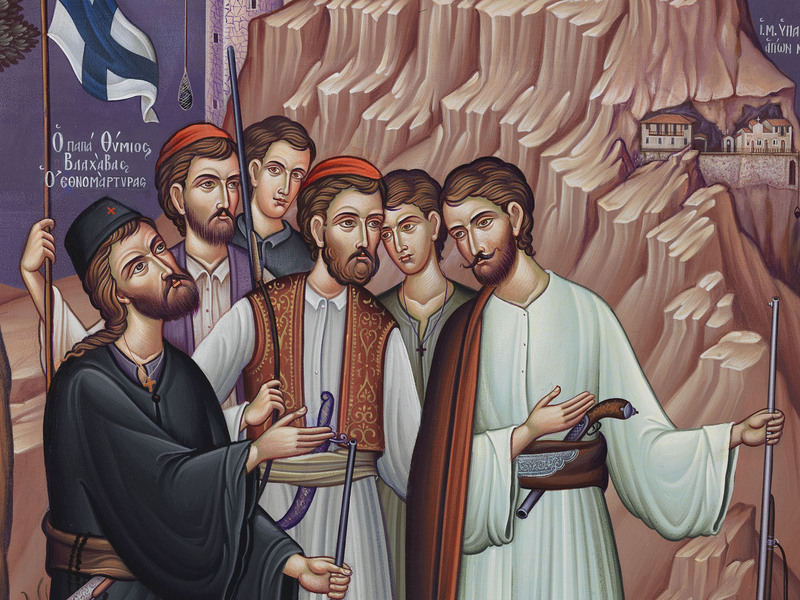 It includes remarkable authentic historical coloured Lithographies of the Balkan Wars (1912-13) and of the epic years between 1940-41. 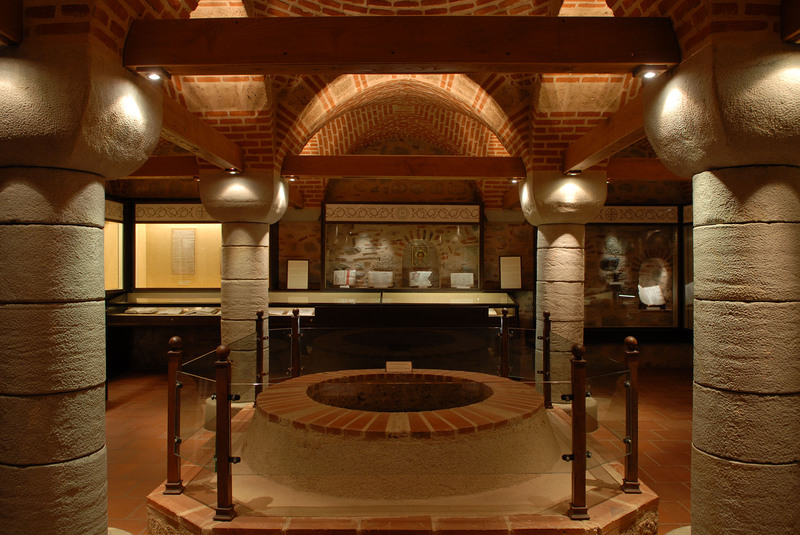 Old Hestia (kitchen): It is 1ocated alongside the north wall of the old Refectory and it has a large collection of copper, pottery and wooden cooking and other vessels, formerly used by the monks. 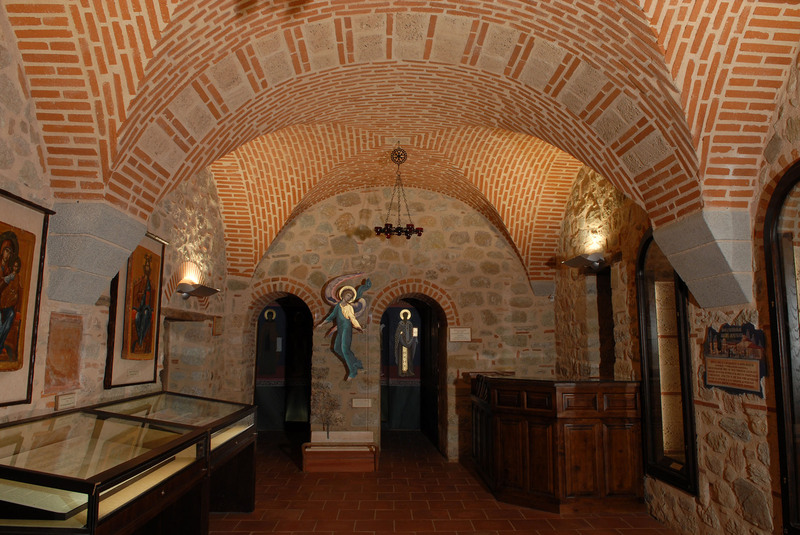 Cellar – Old Carpenter’s Workshop: It is located on the ground floor, in the north of the central entrance of the Monastery. The visitor can find in it a great number of traditional rare and old wooden barrels, buckets, wine-presses, leather skinbags, flagons, ploughs and other carpenter’s tools like a workbench, planes, drills, lath-hammers. wooden saws, e.t.c. 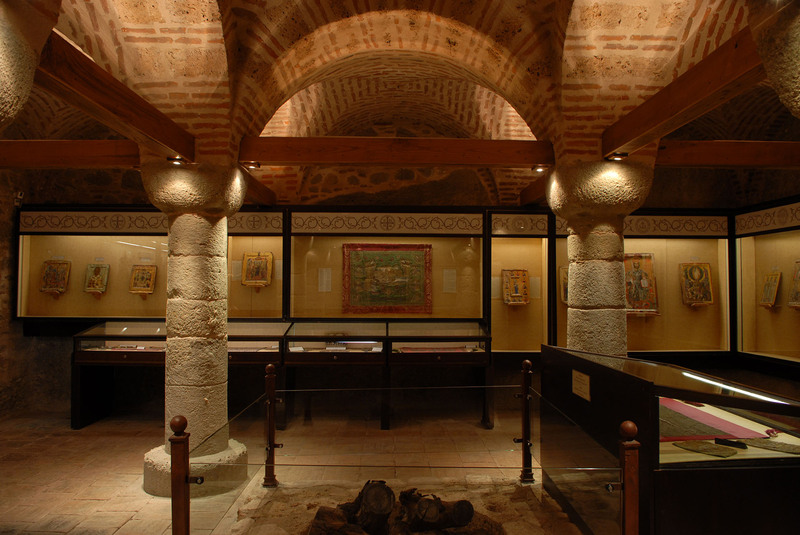 Ossuary: It is located in the north of the central stairway from the ground floor to the top floor of the Monastery and it safeguards the relics of the reposed fathers and brothers of the monastery. Ascension tower: It is located in the north of the upper central entrance of the Monastery and it was used as a manually-operated lift for carrying up and down building materials and other kinds of things needed as well as for the fathers of the monastery, before the construction of the ascension stairway (1922). 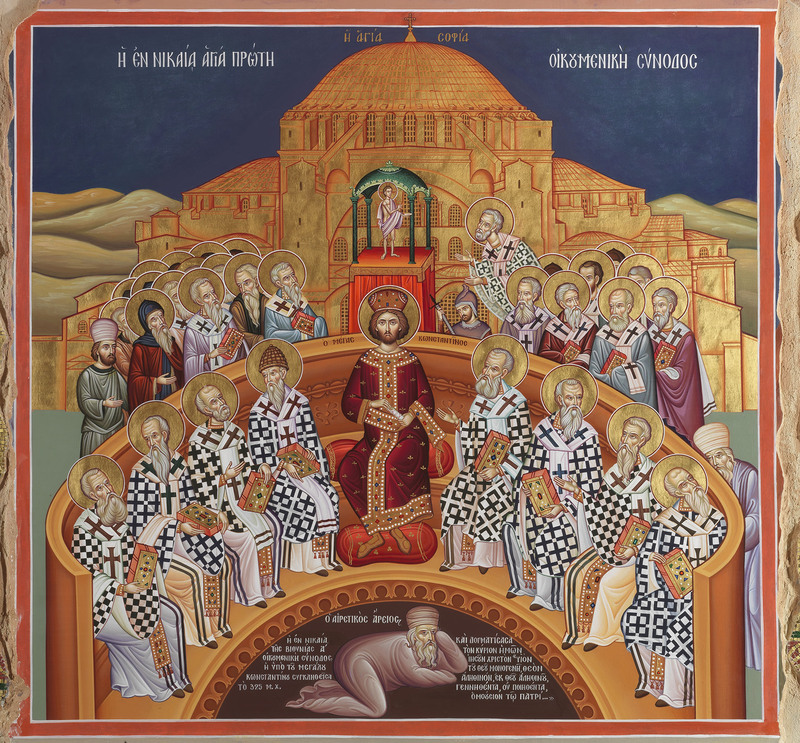 The noteworthy depiction of ‘Christ the King of Glory’ on the exterior wall on the south side of the refectory is the work of the iconographer Vlasios Tsotsonis. 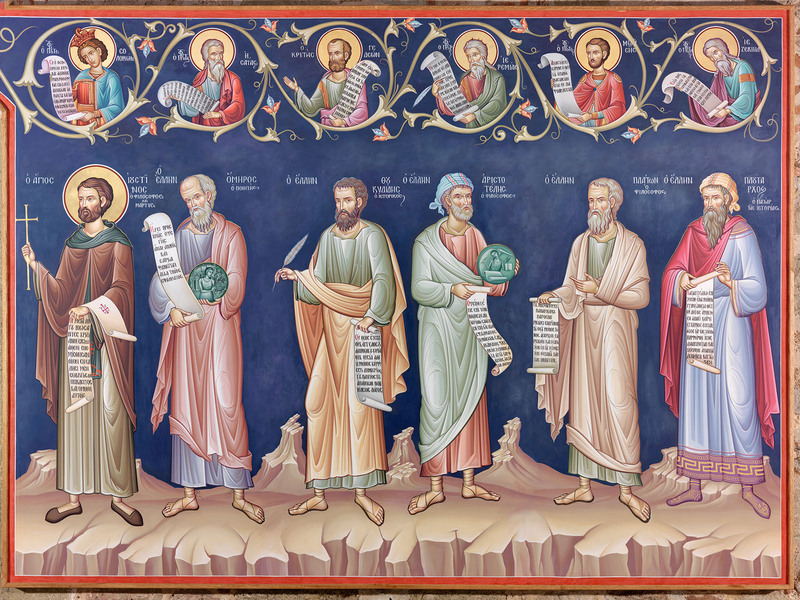 Here, Christ is depicted with the prophets and righteous men of the Old Testament; ancient Greek wise men (poets, philosophers and orators), who sowed the seeds of wisdom and prepared mankind for the Messiah and the plan of salvation, are portrayed in a second section below.